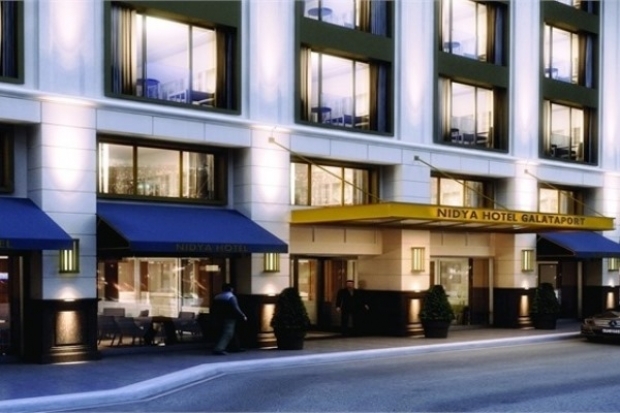 When would you like to stay at Nidya Hotel Galataport - Check Availability & Room Rates!!! Nidya Hotel Galataport welcome guests with Spa, Fitness, Lobby Bar, Restaurantes and meeting rooms located in Galataport/Tophane area. Nidya Hotel has 120 Rooms all furnished specially colors and has features such as: Led Tv, Phone, Electronic Safe Box, Wi-Fi, Air-Conditioning, Mini Bar, Hair dryer, Kettle. Free Services for executive suite rooms: Lounge usage, Fruit Basket, Private Coat Hangers, free Newspaper. How far and How long will it take from/to the Nidya Hotel Galataport Istanbul from/to International Airports and cruise Ports.